It has been a couple of months since I have been out for a ride. So today I managed to steal a couple of hours for a ride into the hills. It has been raining for the last couple of weeks and is very much welcomed as it has been a long hot summer. Only a month ago a bush fire just a little further North of where today’s ride took me had claimed a couple of houses. 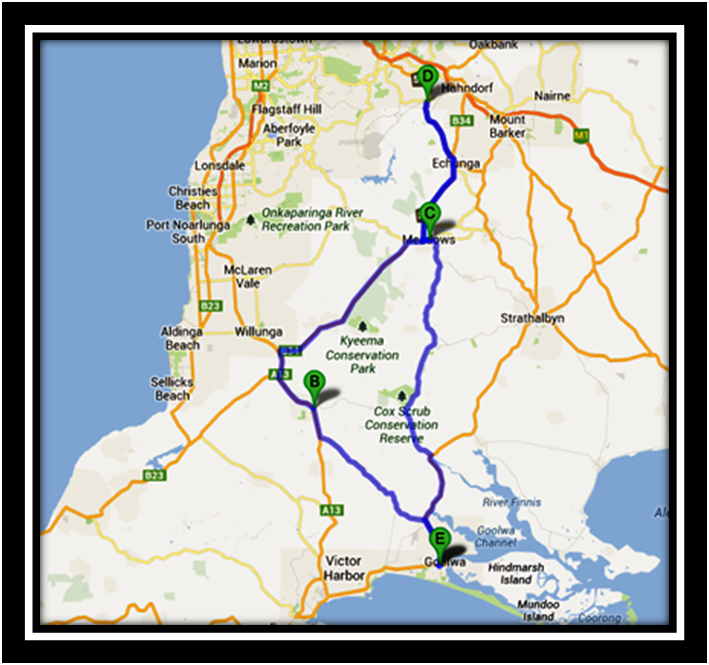 The day was overcast and threatened rain but I managed to dodge it for most of the ride apart from the last couple of kilometres as i returned to Goolwa. I left just after Midday and the roads were mostly dry. 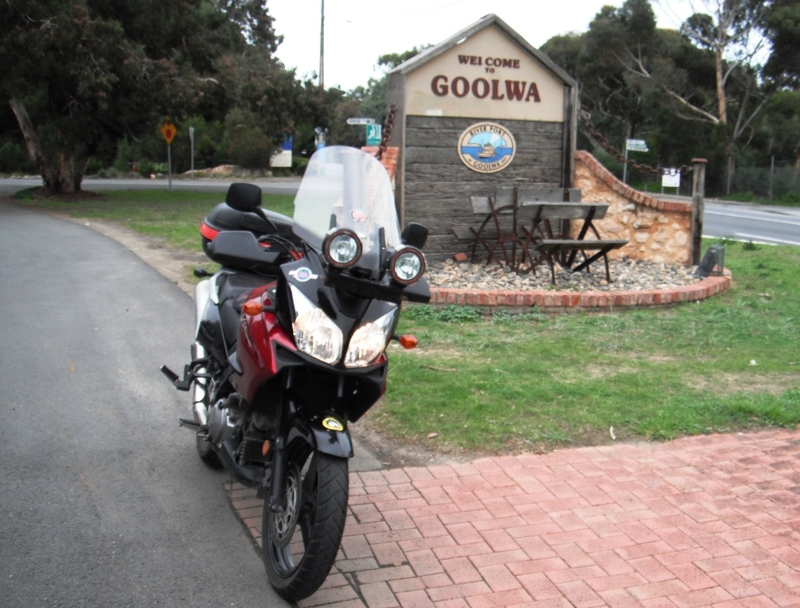 I headed north out of Goolwa and headed for Mount Compass. If it was likely to rain anywhere it was here. The plan was to head a little further north and turn east towards Meadows. 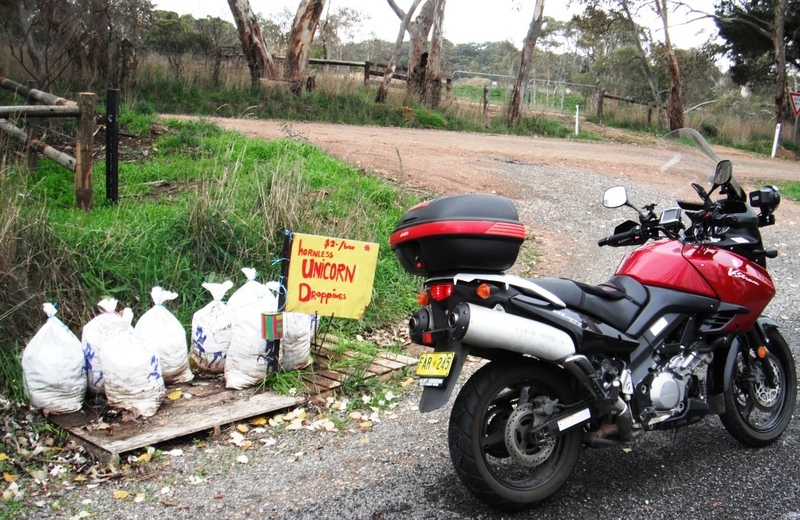 It is surprising the amount of properties that have bags of manure for sale out on the roadside. Horse Poo, Chock Poo, Alpaca Poo, Pigeon Poo is just a few of the varieties. But this was a first, “Hornless Unicorn Poo”! I tell ya, you can get anything in South Australia 😉 . After this discovery I continued to Meadows and from there I turned north again to Mylor where I intended to stop for a coffee and warm up for a bit. The temperature was not to bad at about 15c so I shouldn’t complain. It was still warm enough that I was wearing my fingerless gloves and open faced helmet. Well autumn is over and winter has arrived. 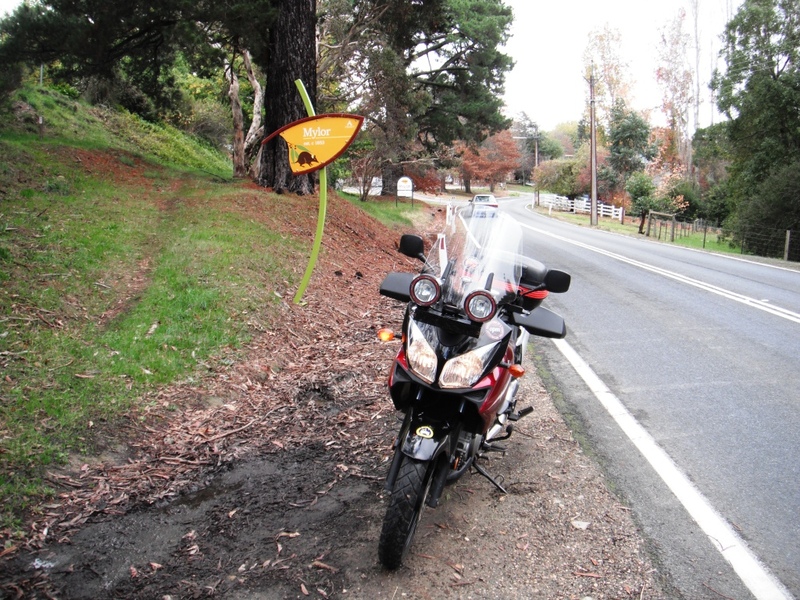 The leaves have mostly fallen and the contrasting colours make for a pleasant ride. The coffee is great at this cafe. I have stopped here before and will again. After checking the time I realised that I had been taking my time getting there and it was time to return home as we had intended to go visit a friend in the afternoon. I left Mylor and headed back to meadow via Echunga. I spied a war Memorial there and stopped to take a photo. From Meadow I simply rode back to Goolwa and called into the Supermarket as requested by SWMBO. Not much of a ride but it served as a fix until the next one. Thanks for dropping by TR. I will have to do my riding with you from this side of the world. But you can be sure that I will be looking forward to reading adventures as they are posted. hopefully not to hot for you. Hey Coyote, enjoyed your blog post today! 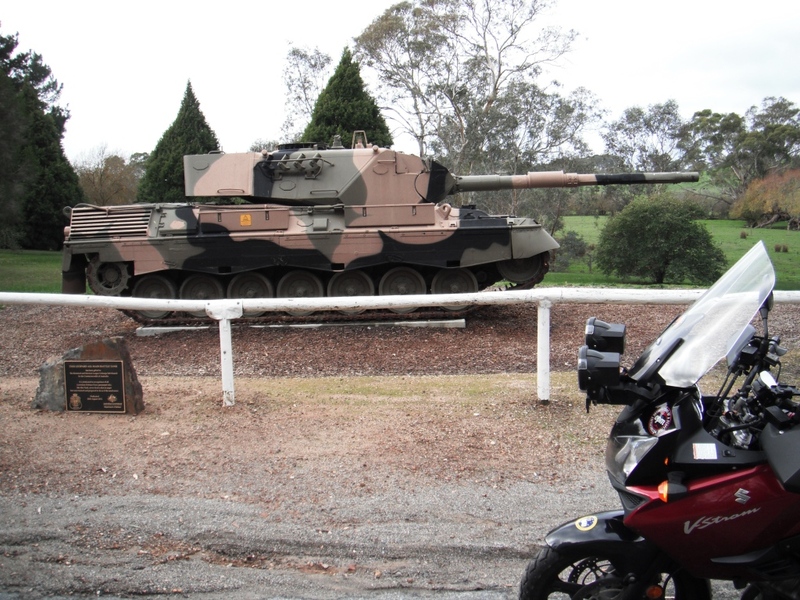 I kept wondering where you were riding….then I spotted Hahndorf! Ah ha, a familiar location. If you care to…..check out my blog at http://memrysonawing.wordpress.com. 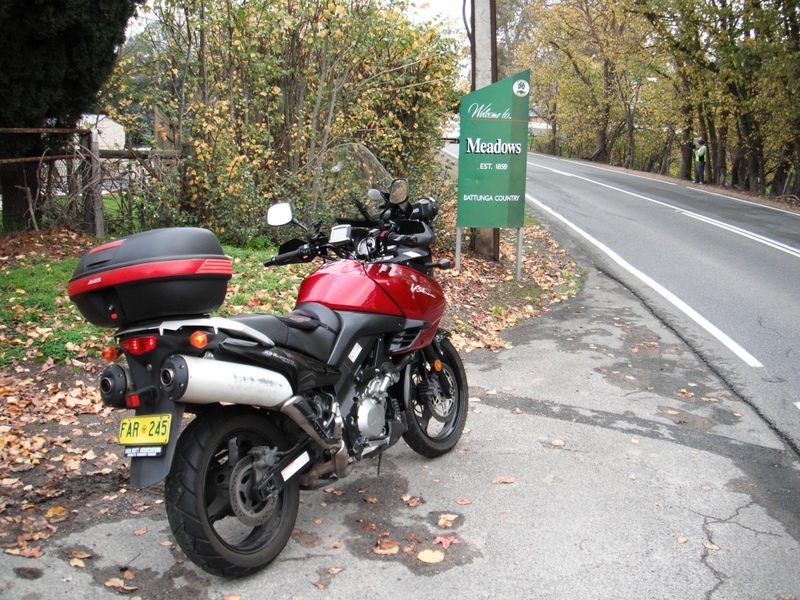 Based in Canada, but MC trips in USA, New Zealand and many in Aussie country. Thanks for dropping by Sandy. 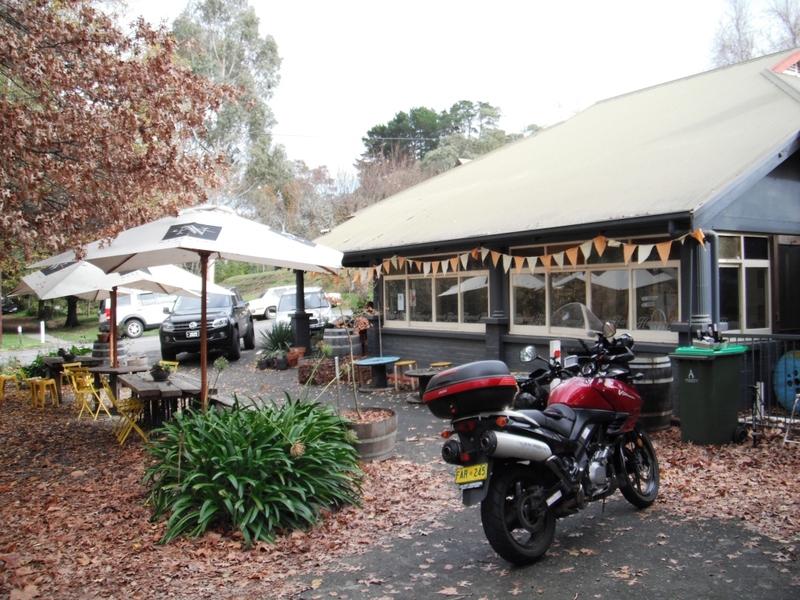 Yes Hahndorf is close by and so are the Adelaide Hills. 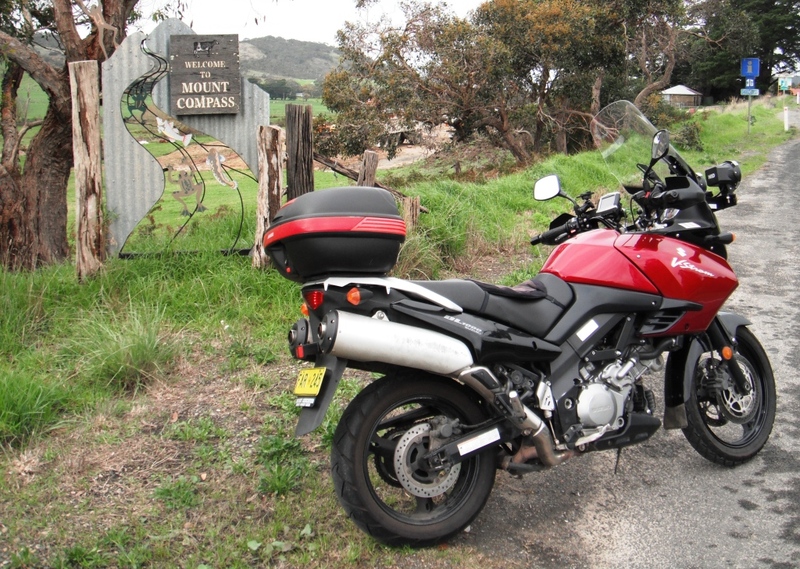 If you have been through that area then you would know what great Motorcycling roads they are. I checked your Blog out and enjoyed the read.